Whether you’re sitting in a plush C-suite making executive decisions for a multinational, or sitting alone in your study working on a zany start-up idea, productivity matters. How quickly and efficiently we can get things done shapes the course of our careers, our companies and our personal lives. The good news is that there is an increasingly wide range of simple (and free) Web-based productivity tools available to anyone with a brain, a browser and a decent Internet connection. The bad news is that productivity still depends on self-discipline, energy and focus — which, sadly, aren’t freely downloadable online. Simon Dingle, head of product design at Bitcoin services firm BitX and an open technology activist, cautions hopeful users that “productivity tools can be a massive distraction from the real dynamics that make teams and individuals tick”. “I’ve learned the hard way that most productivity problems have more to do with individuals and less to do with their tools,” he says. Trello: Simple and accessible, Trello is a great project management tool and fun to use. 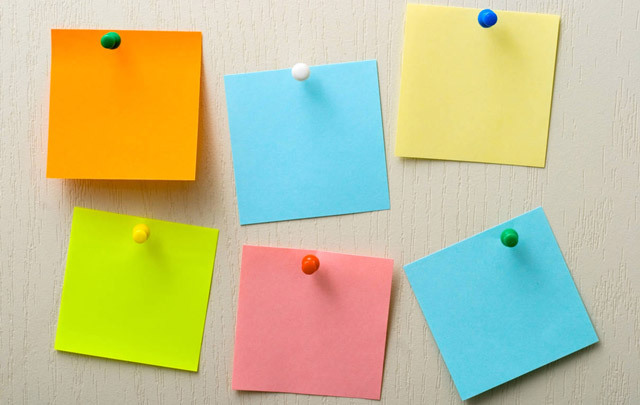 It’s kind of like having lots of little Post-it notes arranged on your whiteboard that you move and scrumple up and rearrange as the day/project progresses. Except, of course, you’re doing it online — so you’re “dragging” and “dropping” what Trello calls cards, and you can invite others to your Trello board. It allows you to attach people to certain cards to keep track of who is working on what, and you can also add more detailed descriptions, file attachments, links, checklists, labels and other relevant stuff to each card. Everything synchronises and updates instantly, and for projects that require regular input from people sitting in different departments, offices, or time zones, it’s a project/traffic manager’s dream. You can hold a conference call or weekly meeting with remote colleagues while you’re all looking at the same Trello board, and update items as you go. And did we mention that it’s free? Evernote: For people who like to scribble down lots of handy to-do lists, reminders, business ideas, share prices, in-laws to avoid, etc, but then can’t find these nuggets of wisdom when the critical moment arrives, Evernote is nothing short of miraculous. Put simply, it is a place to record and save all your notes, photos, documents, meetings — basically whatever info you upload — in the cloud, so that you can access all of it anytime, and from anywhere. Evernote’s search and discovery features make it a highly efficient tool, eliminating the frustration of scratching around for meeting notes or obscure contractual agreements when on the move or arriving at a meeting. A relatively new feature is Work Chat, an instant messaging tool that can enable the all-important C-word: collaboration. When you share a note, you can harangue your collaborators any time you are all online to discuss the information in real time (so there’s clearly a downside here). The basic features are free, but you’ll need to pay a monthly fee if you wish to upgrade to Evernote Premium or Evernote Business, which offer enhanced search features and centralised administration, among other benefits. Slack: Slack is a brilliant platform for instant team communication. Or any communication, really. It allows you to create “channels” according to specific topics, issues, projects or teams, which gives everyone access to all the conversations and information circling around. Sophisticated search functions are built in, allowing users to go back and retrieve anything essential or refresh their memories, and the channels can include messages, files, images and video, rich link summaries and integration with other platforms. Basically, instead of using a combination of internal email, Skype, and instant messaging platforms, you can use Slack to direct the flow into one place. It’s also flexible, allowing you to create private groups or send private/direct messages to one person. It integrates with other nifty tools such as Dropbox, Trello and Google Docs, and these integrations can be set up to post to Slack as events occur. It’s free (can you tell that we like free?) for an unlimited number of people. The Pomodoro Technique: Not every productivity tool has to be a slick software application. Sometimes going offline, or resting, is the most direct route to the desired result. That’s why we like the Pomodoro Technique, a time management method based on the idea that frequent breaks can improve mental agility. It recommends using a timer to break down work into intervals of 25 minutes in length, separated by short breaks (these intervals are known as “pomodori”, the plural of the Italian word pomodoro for “tomato”. I love the idea of Slack. I would be interested if any South African’s have tried Slack and use it in their business. We gave it a shot but I quickly saw that people found it too hard to let go of email.